Breakfast: Is It An Essential Meal For All Age Groups? There can be no doubt on the fact that breakfast is the most important meal of the day; it is imperative that both grown-ups and children do not skip this meal. A common misconception amongst dieters is that skipping breakfast will help you lose weight because it restricts your daily calorie intake. The truth is that skipping the breakfast can sabotage your best weight loss efforts. Why is breakfast important for weight loss? • Breakfast is considered to be the all-important meal for dieters of all ages because it can contribute to your weight loss efforts. A wholesome and nutritious breakfast helps to increase your body’s metabolic rate. When you feed yourself a hearty breakfast, you are basically sending a signal to your brain that it needs to begin working in order to digest this meal. The breakfast works like a wake-up call for the whole body and you get completely ready to face the challenges of the day. Without a wholesome breakfast after you wake up, your body tries to hold on to the energy because it is deprived of nutrition. This tends to slow down your metabolic rate, making you burn fewer calories. • Breakfast for both you and your children is important since it stops you from reaching out for unhealthy snacks during the rest of the day. When you deny your body the nutrition it needs in the morning, you are likely to feel irritable and fatigued; to satisfy your hunger cravings, you are more than likely to make the wrong food choices for lunch. 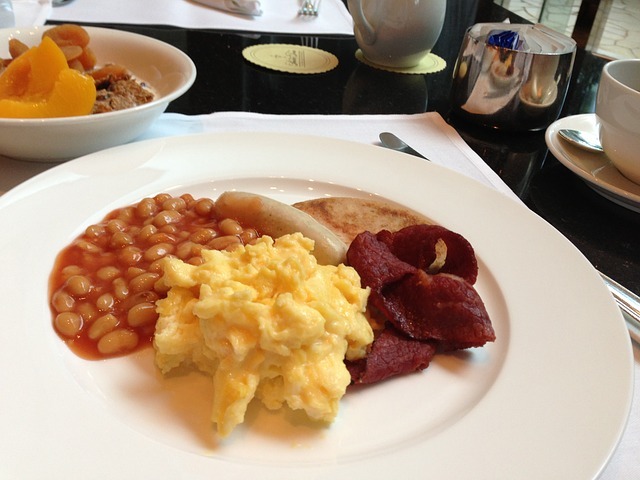 • A good breakfast can keep you feeling cheerful and energetic throughout the day. Your body is not starving when you have given yourself a nutritious breakfast; this helps to keep you in good spirits. You also have the energy you need to carry out regular chores of the day without feeling depressed and tired. Incidentally, when you feed your children a good breakfast, they are likely to perform better in school. Breakfast improves concentration, making the children more attentive in class and better equipped to handle tasks. Children also perform better in sports when they have had a nutritious breakfast. Teenagers can benefit by eating a wholesome breakfast when they wish to maintain a healthy body weight. Skipping this meal only affects their metabolism making them pile on unwanted calories. It also drives them to unhealthy binging which can prove very harmful for their weight. For adults too, it is absolutely necessary that they eat filling breakfast first thing in the morning. 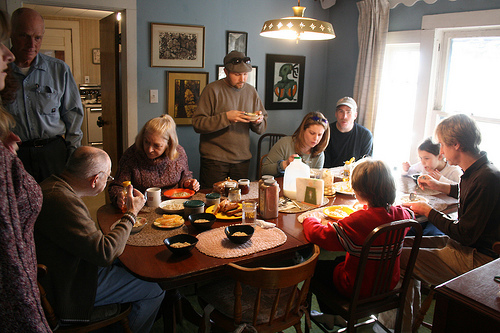 When you avoid a good breakfast meal, you are likely to gain more weight. This condition may result in obesity unless controlled. Obese individuals typically skip this meal in the hope of losing weight. Acclaimed weight loss programs like Nutrisystem emphasize the importance of having breakfast. In order to make dieters stay motivated with the diet plan, Nutrisystem includes delicious breakfast meals that are filling as well as complement weight loss. Research shows that the breakfast can actually help you lose weight, whether you are a teenager or a grown-up. Not only do kids perform better on the field and in their classrooms, the adults are also better equipped to handle the stresses at home and in the workplace every day. For a healthy breakfast, you should choose from the main food groups like cereals and eggs, yogurts and milk. Jessica Robert has eight years of blogging experience in the health and fitness niche. She has written guest articles for many health sites. Her simple blog The Diet Circle features informative articles about various dieting methods and weight loss tips. ← The Metro NY Chapter and the National Board of USNC-UN Women Present an Evening Reception to Celebrate the Leaders Advancing Women and Girls in STEM.